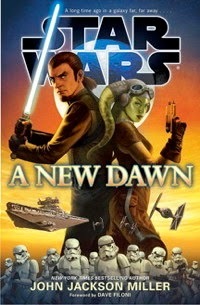 Star Wars: A New Dawn paperback now available -- plus production notes! And another book for your shelf! Star Wars: A New Dawn is now available in paperback at your local bookseller — and you can also, at long last, find my production notes, trivia, and answers to frequently asked questions here on the site. It's a wide-ranging document, covering the creation of the book and including trivia that hits stops everywhere from the Civil War to the Russian Revolution, while taking in goofier stuff like the novelty son "Convoy" and the strange 1970s sitcom Holmes and Yo-Yo. If you've read any of the dozens of pages of notes on my other books on the site, you know the drill. I'll be signing the book on Saturday. April 4 from 1-3 at Book World in downtown Stevens Point, Wis. — and again at Star Wars Celebration, where I'm also appearing, as well as speaking on the main Del Rey panel at 2:30 Saturday, April 18. I also have my own writing seminar for the first time: "Rule the Galaxy Together: Writing in a Shared Universe." Click the link for the time and place. Should be fun! I'm then appearing at the Fox Cities Book Festival, Saturday, April 25, at 1:30 at the Appleton, Wis. Public Library. Click the link to read my interview with them. 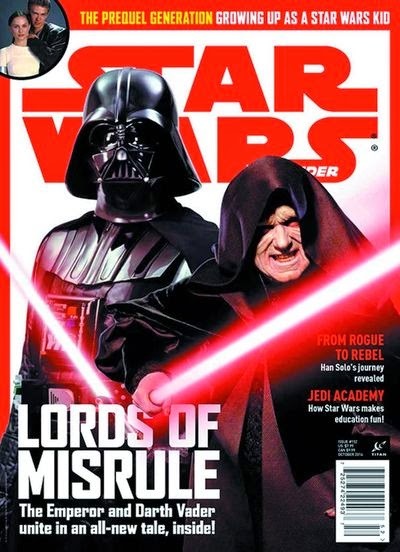 Next up, I'll have my first Darth Vader/Emperor story in Star Wars Insider #157, which is out in April and ties into the new Paul Kemp novel, Lords of the Sith. Should be some fun surprises in that one. The story is called "Orientation" and you can get it in both newsstand and variant cover editions. Some catch-up work. I've been in a lot of podcasts recently, but you might pay particular note to My Star Wars Story, which is a series where people do interviews about their paths through fandom. I also appeared at MidSouthCon again, thirty years after my first one -- and was interviewed for my hometown newspaper. More news to come. The spring looks busy!